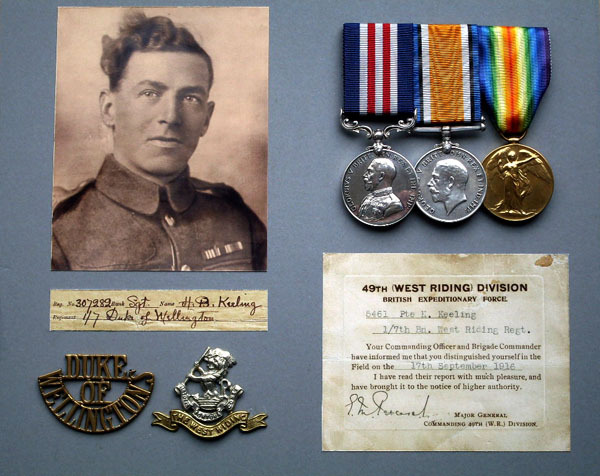 Herbert Blonk Keeling, from Ecclesall, served as a territorial in the Duke of Wellington's Regiment, seeing action in France/Belgium from 1916 to 1918. 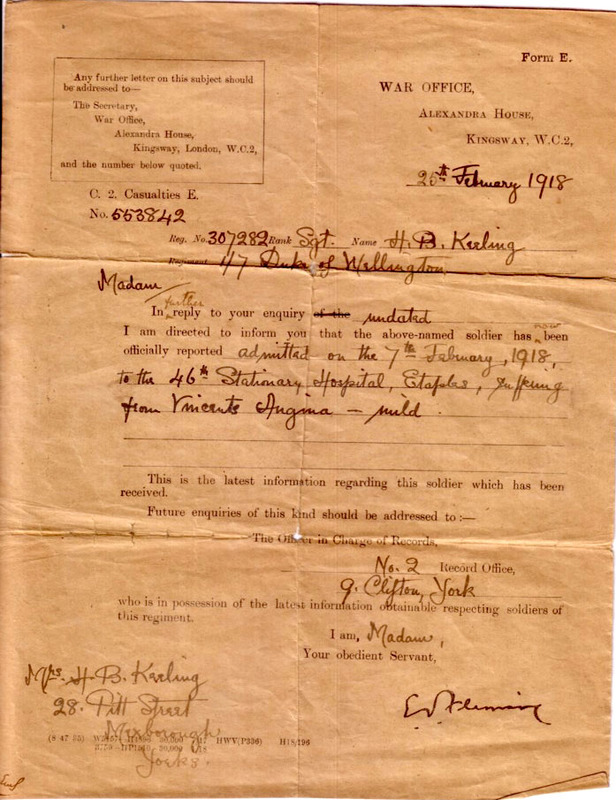 He was awarded the Military Medal for action at the Battle of Flers-Courcelette, part of the 1916 Somme offensive. 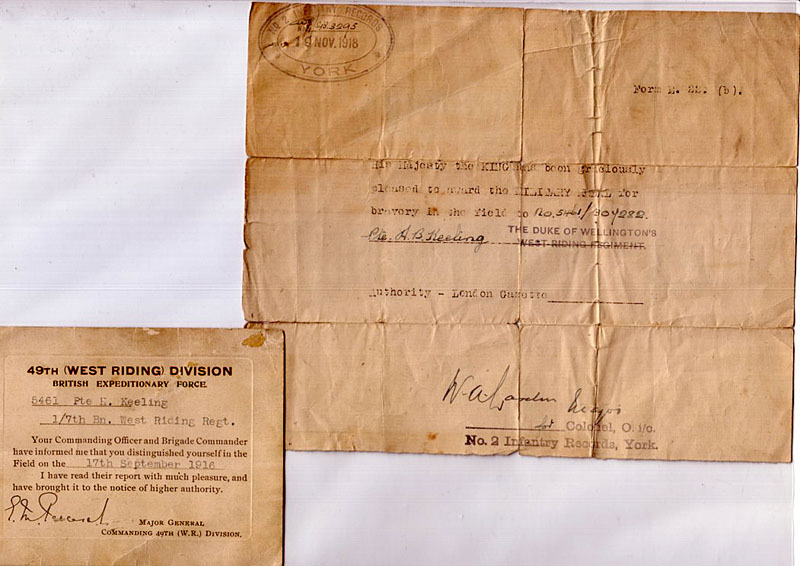 His citation reads: "5461 Private H B Keeling. Military Medal. 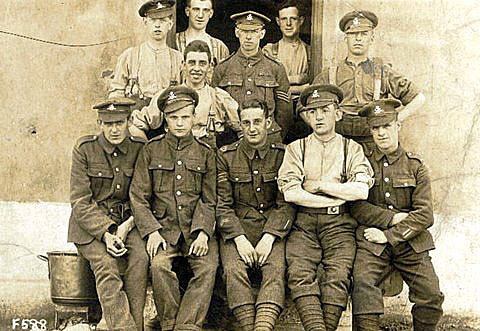 For setting a fine example of bravery, coolness, determination and hard work under very heavy shell fire on the 17th September, 1916 near Thiepval. London Gazette 16th November, 1916 Page 11140." 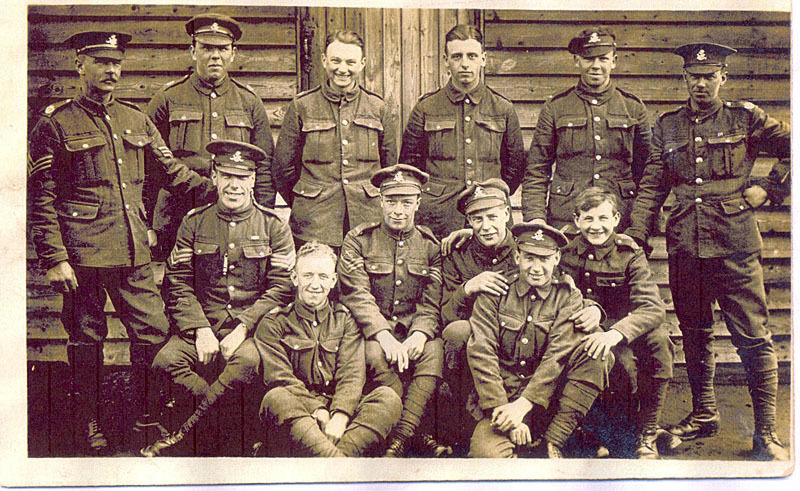 He was later promoted to Corporal and then acting Sergeant with the 1/7th Bn. He was renumbered as 307282 in 1917.